"I was terrible," said Hill, who allowed six runs on eight hits over 3 2/3 innings and fell to 9-6. "Everybody did what we were supposed to do, and I was terrible." "It's baseball. It's going to happen," said Taylor, who celebrated his 27th birthday on Tuesday. "We're going to continue going about our business the way we have, come to the park looking to get a win tomorrow. I think we ran into good teams that have played us tough and we lost a couple of close games." This Day in Dodgers History: In 1918 the Dodgers and Giants play a 56-minute game at the Polo Grounds that saw New York beat Brooklyn, 1-0. 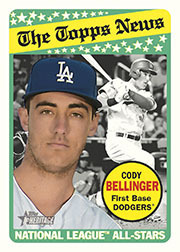 In 1952 former Dodger infielder and future Hall of Famer Arky Vaughan dies in a fishing accident. He and a friend drowned in a lake near Eagleville, CA when their boat capsized. In 1953 Roy Campanella tied a NL record for RBI's by a catcher during a season at 122. He did it by going 4-for-5 with five RBI's and three runs scored against the Cardinals. Campy would finish the year with a Major League best 142 RBI's for a catcher. In 2015 Cubs hurler Jake Arrieta no-hit the Dodgers at Dodger Stadium, 2-0. 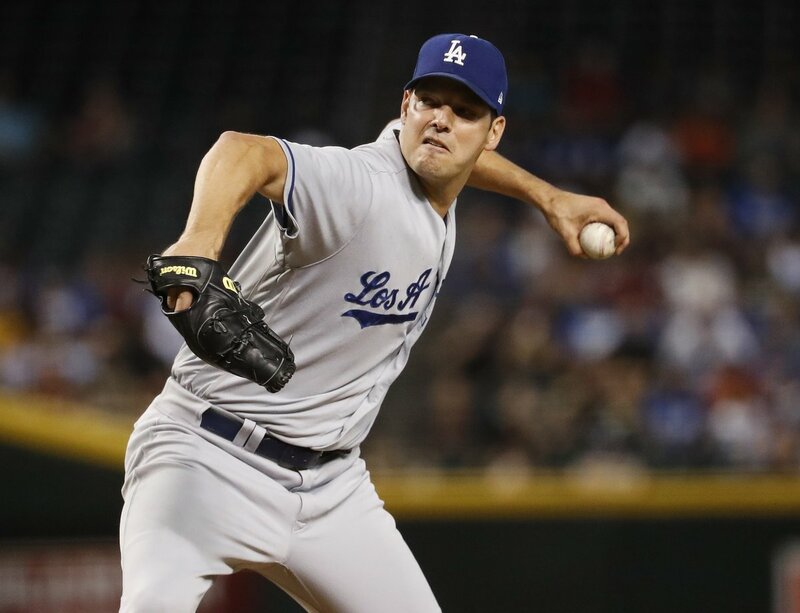 It is the 12th no-hitter ever thrown at Chavez Ravine. Happy Birthday, Bert Tooley, Kiki Cuyler, Tommy Dean & Roberto Hernández! Per Travis Sawchik at FanGraphs; "The Dodgers Are Listening to Justin Turner." Turner said he’s proselytizing in the clubhouse, imploring teammates to get the ball in the air. And given his success, some have apparently been listening. Again, we seem to have more anecdotal evidence of the impact one teammate can make amongst his peers. It’s akin to having another really valuable coach in the clubhouse — perhaps the most influential kind of coach — and it’s another indication of how adaptable and malleable players are even at the highest level of the game. Per Ken Gurnick at MLB.com; "Seager limited to pinch-hit duty by sore elbow." "Can't recall what incident led to it, but it's something he's been managing, and [he's sitting] just to get ahead of it. It's a day-to-day thing," Roberts said. "It doesn't bother him hitting, so he's available to hit. When he gets back to the starting lineup is contingent on his symptoms. It's been a couple weeks. One throw lit him up a little bit. If we manage it, it should be fine." Per Jeff Sullivan at FanGraphs; "The One Thing Holding Back Yasiel Puig." Part of this, I’m sure, is a fluke. Puig’s natural double-play rate couldn’t possibly be this high. But this season, with men on base, Puig has a career-low strikeout rate, a career-high pull rate, and a career-high grounder rate. Being a righty already gives him a slower start out of the box. The double plays have hurt, the Dodgers more broadly and Puig more specifically. The Dodgers’ No. 5 prospect at midseason is making this Double-A thing look easy. Diaz had four hits Tuesday in Double-A Tulsa’s 9-3 win over Northwest Arkansas. After slashing .278/.343/.414 in high Class A, the Cuban is hitting .333/.398/.464 in 25 games in the Texas League. Check out this fun little drawing of Eric Gagne, via Cecil Cooperstown. Via Wax Pack Gods; "How The 1963 Fleer Maury Wills Baseball Card Set History Right(er)." Maybe I wasn’t the only one confused by the K-Mart set in general and the Maury Wills card in particular because it wasn’t long before I came across the story of the Wills-Topps flap that kept the speedster out of Topps issues until 1967. Blowout Buzz shares some very early preview photos of Topps 2018 Heritage set. 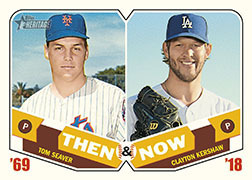 It includes a sneak peek at cards for both Cody Belling and Clayton Kershaw that you can see below. This set doesn't come out until February 28th of 2018. Go here to check out more pics.